7″ Dustless Surface Grinder Assembly. 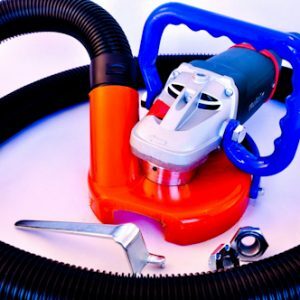 Ideal For: Dustless Surface Grinding, Cleaning for Protective Coating Profile, Leveling Uneven Concrete, Lowering High Spots, Edging Against Walls Where Large Grinders or Shot Blasters Will Not Reach. 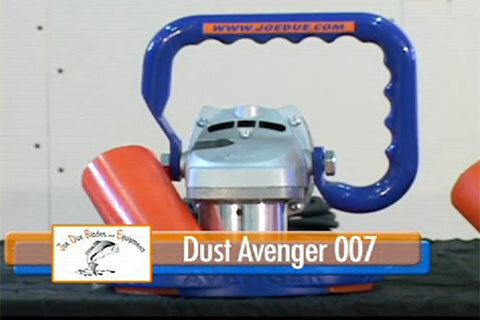 The Dust Avenger 007 is a 7” handheld surface grinder complete with 24-230 Metabo Grinder, durable urethane shroud with convertible flipper, adaptor collar, flower washer, adaptor nuts for diamond cupwheels, Blue loop handle, spanner wrench and an 8’ 2.5” hose. Model W24-230, 6600 RPM, 15 amp with a 1 year standard warranty. Expect 1.5- 2yr grinder life span with continued normal use. Our assemblies come with the 24-230 model because higher RPM Grinders (like the 23-180) tend to burn up when workers lean on (abuse) them. Higher Amp Grinders (25-230) will blow 20 amp breakers more often causing more headache. Convertible Flipper Design allows both open floor grinding and edging. 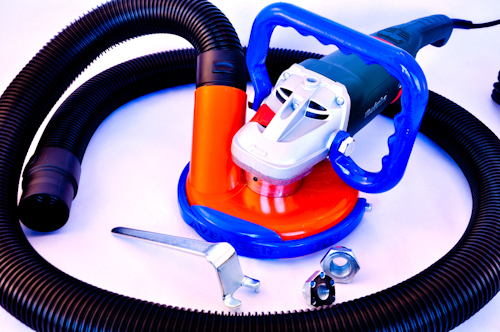 Shroud Kits are Designed to fit on numerous other makes and model grinders, only the collar is different. 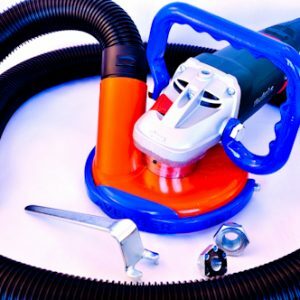 They are 95% dustless (dry) when used with a sufficient vaccuum. 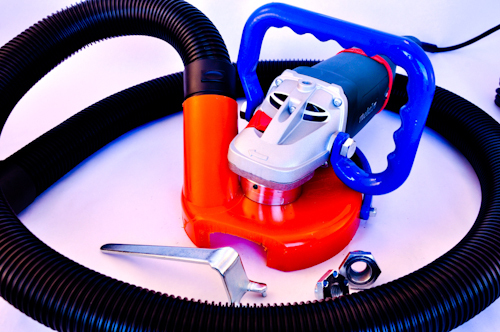 Shrouds have a 2.25″ vacuum port for 2.5″ shopvac style hoses. Great for indoor or outdoor use, saves cleanup time and your lungs. 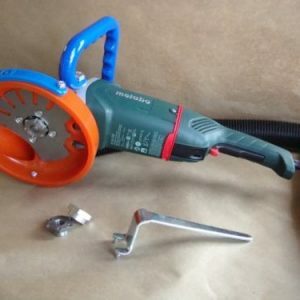 Our threaded cupwheels have the correct offset to be used with our GV Kits. 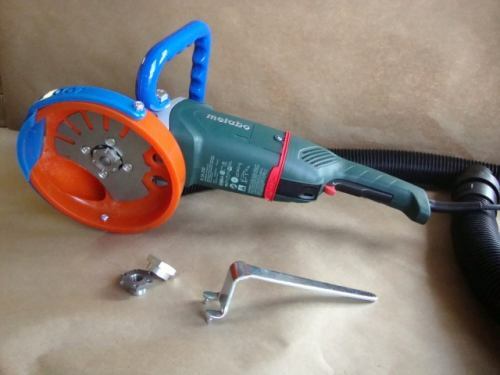 If you are not using our cupwheels, you should use 5/8-7/8 arbor cupwheels and use our Blade and arbor adapting nuts supplied to gain the correct offset. We redesigned the Flipper on the 007 Avenger but kept the same functionality and durability of the old white ring. Loop handles have been redesigned into Aluminum with no slip grips molded in!